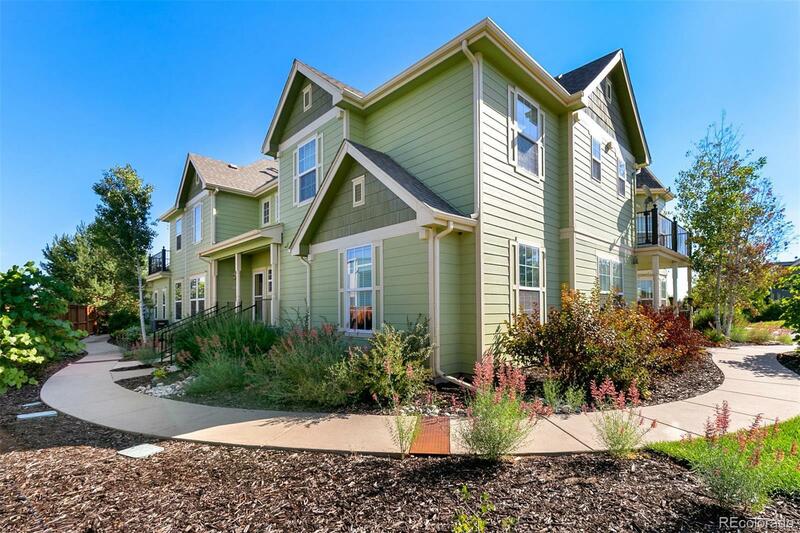 This fantastic townhome on the south side of Stapleton is walking or biking distance to the Stanley Marketplace, the 29th Avenue Town Center, Bladium and many schools. It's across the street from the Puddle Jumper pool. The open floor plan and high ceilings on the main floor make it feel open and welcoming. The kitchen has a large pantry with plenty of storage. The two bedrooms and bonus loft area allow for lots of living and flex space to meet your needs! The patio off the loft area is a great space to enjoy the sunshine. The master bathroom is nice and spacious and leads into a fantastic walk-in closet. And, to add to the appeal, there is a two car attached garage with several built in cabinets for storage.